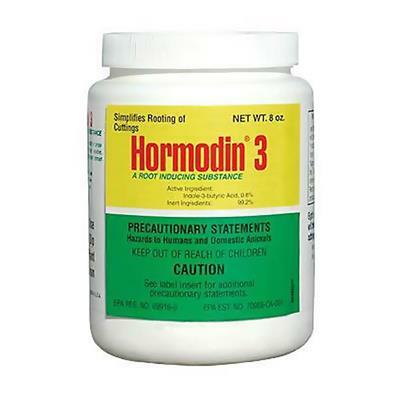 Hormodin 3 is prepared specially for propagating the more difficult to root varieties, including many of the evergreens and dormant leafless cuttings. 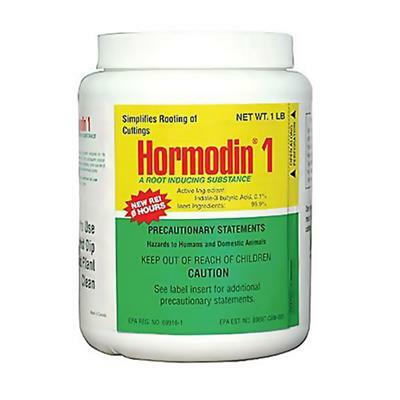 Hormodin #1 - is for use on most bedding, greenhouse, and home garden plants. Hormodin #2 - is for use on woody and semi-woody varieties. 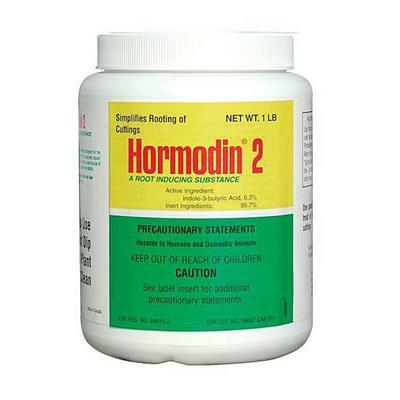 Hormodin #3 - is for use on difficult-to-root plants. Moisten cuttings. If not already moist, the basal ends of the cuttings should be slightly moistened before treatment (except geraniums). Pour a small amount of Hormodin into a bowl or pan. Stir basal ends in Hormodin. Remove excess powder by tapping on rim of container. Plant treated cuttings in satisfactory rooting medium. Hormodin works best when used on fresh cuttings. I used the product, Hormodin 3 as usual but I got no results in rooting cuttings. Just started using Hormodin 3 for stubborn wood, will update in 2-3 weeks, everything looking good so far!!! I read the recommendation from my friends, purchased one and was so disappointed. Not only it is expensive, it did not work at all. I dipped my cutting into the powder, put into the soil, water regularly, and after two weeks, nothing happened. The cutting died. Rapid response with exact item order! !Will use them again for my greenhouse supplies! !